Maybe you’re looking for an elegant, classic piece of timeless beauty. Our vintage and estate jewelry collection is a good place to begin your search. Perhaps you and your special someone want to create a custom jewelry design together. Runyan’s, a downtown Vancouver WA staple, can help with that, too. We’ve been in business for more than 100 years, and our turn-of-the-last-century showroom offers a truly dazzling spectacle. So come on in, look around, and see what a difference the ERJ experience is from all the others. 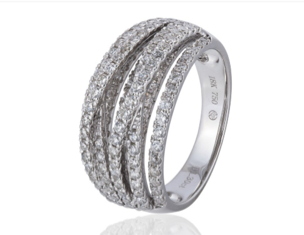 Erik Runyan Jewelers has a wide variety of rings with precious metal settings, diamonds, and gemstones. Traditional, contemporary, ultra-modern — we’ve got it all. We work with the world’s top designers to bring you a selection that’s unmatched in the Pacific Northwest. 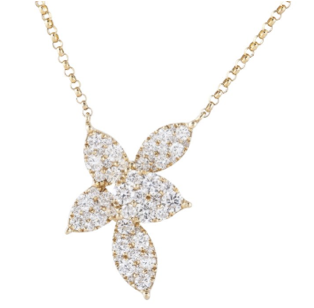 And if you don’t see exactly what you’re looking for, we’ll help you with a custom jewelry design that’s all your own. Here’s just a taste of what we offer, chosen by Erik Runyan himself. 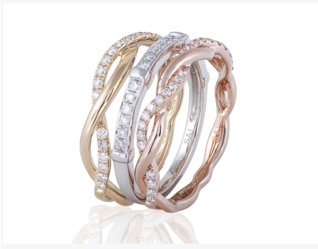 This set of three bands features delicate classic diamonds set in yellow, white, and rose gold. 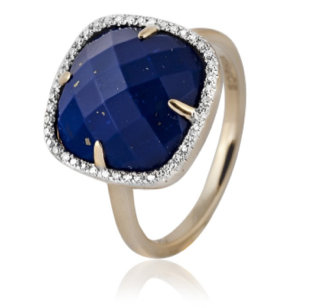 Yellow gold ring with diamonds surrounding a large lapis lazuli gemstone. If you’re prepping for a holiday marriage proposal, we’ve got a wide selection of stunning rings to choose from. Take a peek at our stunning collection of engagement rings and wedding bands, hand-picked by Erik Runyan. And remember: Custom engagement settings are an Erik Runyan Jewelers specialty. We’ve helped generations of couples craft the perfect, one-of-a-kind bridal sets. If you’re thinking of popping the question, pop into ERJ for a world of selection and advice from our expert jewelers. And be sure to look over our wedding resources page for additional tips and insights! Hoops. Studs. Drop styles. 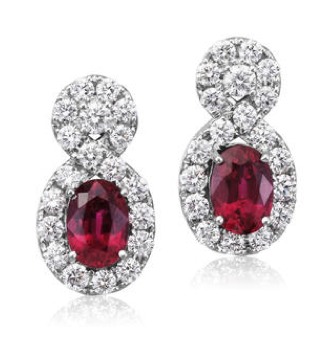 Erik Runyan Jewelers has it all — including a huge selection of diamond earrings in a variety of carats, colors, clarities, and cuts to fit any budget and any style. Erik has chosen a few that would make a perfect gift for any stocking stuffer. 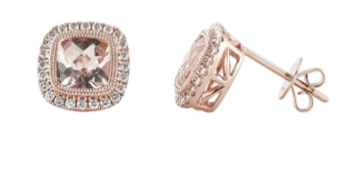 The gold stud earrings feature beautiful morganite surrounded by brilliant diamonds. When it comes to bracelets, you won’t find a more comprehensive selection anywhere in the Northwest. One of our most popular and admired items is also something you won’t find anywhere else: our exclusive Golf Bracelet, designed by Erik Runyan himself. This item is not only one of a kind — it’s the first of its kind: 18 perfectly matched, golf-ball-shaped diamonds linked together by dimpled gold. These are always a popular item; Erik sells them about as fast as he can make them! We also have bracelets with precious gems and simple bands, plus charm bracelets that you can customize for the individual wearer. 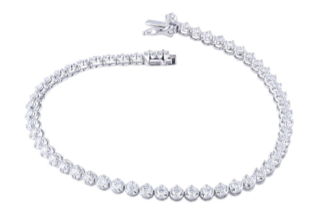 ERJ also has a great selection of tennis bracelets, any of which would make a fine gift. Tennis bracelets have an interesting history, by the way. Although similar styles have been around for thousands of years, they weren’t known as “tennis bracelets” until the late 20th century. 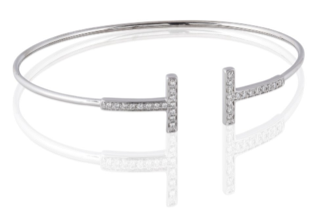 During the 1987 U.S. Open, tennis legend Chris Evert's diamond bracelet fell off. “I dropped my tennis bracelet,” Evert said — and the name stuck. Here are some of Erik’s other favorites. 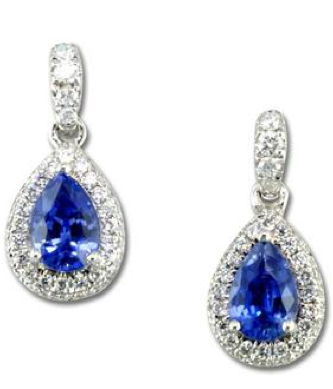 Visit Erik Runyan Jewelers to see them for yourself! A 14k white gold bracelet loaded with diamonds. 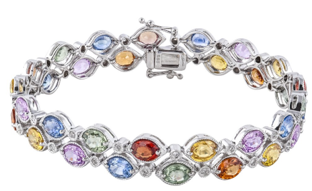 Features a colorful assortment of stones, including pink, orange, and yellow sapphires, alongside classic, high-quality diamonds. 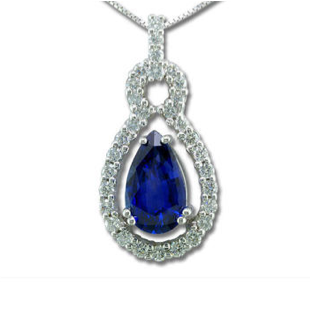 A one-of-a-kind item featuring sapphire and diamonds. 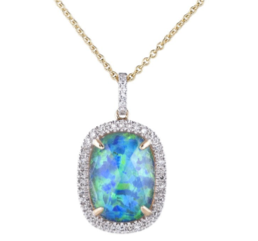 Yellow gold pendant and necklace features stunning opal and crystal, accented with delicate diamonds. ERJ has a wide variety of watches for any lifestyle. We feature many of the world’s top manufactures and can help you find the perfect gift — ranging from traditional classics to contemporary styles for both men and women. 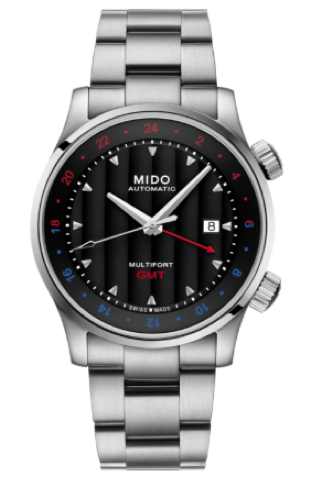 Stainless steel and water-resistant; features transparent caseback and sapphire crystal. 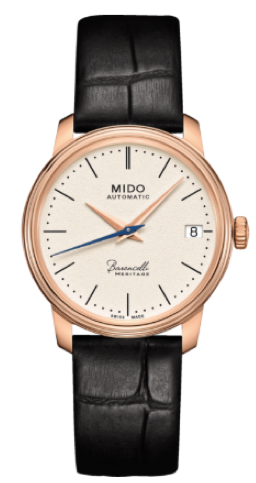 A tribute to classic watchmaking traditions and elegance. The Vintage Jewelry Salon at Erik Runyan Jewelers is a sight to behold! Timeless designs and classic styling abound — from Old European cut diamonds and Victorian lockets to gold coins and cultured pearls. Here you will find names like Patek Philippe, Rolex, and Omega — impressive watches and more that prove quality never goes out of style. Our collection includes a vintage 14K gold pocket clip, a gorgeous Longines platinum diamond estate watch, and Sergio Bustamante devil and angel designer earrings that you’ve just got to see! Please note: Inventory at Erik Runyan Jewelers is subject to change.